Tim Brodribb is an Associate Professor of plant physiology and an ARC Future Fellow. His research is focused on how plants transport and use water, which is one of the most important factors in determining the survival or extinction of plant species in different environments. Associate Professor Brodribb was awarded a Putnam Fellowship in 2007 from the Arnold Arboretum at Harvard University, the Grady L. Webster Structural Botany Prize in 2009 from the American Journal of Botany, and the W.S. Cooper Award from the Ecological Society of America in 2012 and a Thomson Reuters Citation and Innovation Award in 2015. 1999-2000: Post-doctoral Fellow (University of Tasmania). 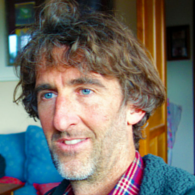 Tim is the Editor of the Australian Journal of Botany, and the Journal of Plant Hydraulics. He is Co-Editor of New Phytologist and is on the Editorial Board of Plant Cell and Environment and Tree Physiology. He is the Subject Editor for AoB plants. Water stress impacts heavily upon agricultural productivity and plant survival in drought-prone regions such asAustralia. This project aims to reveal how specific water-stress thresholds cause major damage to the leaves ofAustralian crop and forest species during drought. By combining novel and exciting optical and X-ray techniques,this project seeks to visualise and quantify the dynamic processes of damage and repair for the first time in leavesunder stress. Anticipated outputs include: development of a practical basis to predict drought-induced canopydeath; identification of threats to ecologically sensitive plants; new selection and screening tools to improve thedrought resilience of agriculturally important crop species. A principal role of stomata is to close when leaves experience water stress, thus conserving plant water. Although stomatal responses to drought greatly impact crop production and ecosystem function across the globe, these responses remain poorly understood. The central aims of AgroPHYS are (i) to disentangle the physiological interactions underlying plant stomatal responses to drought for predicting productivity relative to water consumption in agricultural plant species, and (ii) to inform attempts to improve agricultural water use efficiency by merging the results from (i) with a process-based model and a plant-based sensor. We will investigate the physical limits to water transport in plants and their impact on plant productivity. We seek to understand how the mechanical strength of vascular conduits limits a plant's ability to pull water from the soil and thus to sustain photosynthesis during periods of low water availability. This project aims to use a new vascular approach to develop a quantitative stress tolerance framework for the crop species pyrethrum, defining the risks to plant production of water, heat and frost stress. Using novel optical and x-ray technology, this project seeks to pinpoint damaging stress thresholds and combine this knowledge with crop monitoring technology in a way that will allow crop managers to avoid damaging stress events. The intendedoutcome is to enable the pyrethrum industry, and ultimately a diversity of crop managers, to better utilise new advances in monitoring technology to maximise the benefits of irrigation such that yields are high relative to water use and damage by stress is avoided. This project proposes a new approach to understand the evolution and physiology of stomatal function, and how this interacts with xylem evolution to determine whole-plant water management. Using a combination of membrane-level, and whole-leaf physiological techniques, it focuses on mechanisms of stomatal closure in diverse plant species. Specific stomatal and xylem responses to water stress will be mapped together onto the gymnosperm clade to reveal co-evolutionary linkages between xylem and stomatal physiology. By combining physiological data with evolutionary patterns among major land plant lineages the project will produce a mechanistic framework for interpreting the drought ecology of all plant species. The rise of flowering plants appears linked to the evolution of leaves with densely branched vein systems. Beyond the timing of this landmark transformation in plant function little is known about the adaptive pathway leading to the evolution of photosynthetically superior angiosperm leaves. By investigating the anatomy, function and economy of leaf vascular systems, this project seeks to understand the innovations that enabled angiosperms to exceed all other plant groups in foliar water transport efficiency. Research will produce a new mechanistic theory of angiosperm evolution, while also discovering the quantitative trade-offs that govern acclimation and adaptation of plants to environmental and atmospheric change. How sclerophyll vegetation came to dominate Australia is a long standing evolutionary question. The plant family Proteaceae is key to this question because it spans almost the full range of Australias vegetation and has a strong fossil record. The research combines molecular phylogeny with anatomy to reconstruct the pattern evolution of key leaf traits related to creating open forests and heaths and to build the framework needed to identify fossil leaves of this family in a rigorous manner. The integration of new and rigorous evidence derived from living and fossil plants will provide the clearest evidence yet for the origins of Australian environments. This has ramifications for understanding plant responses to past and future climate changes. There is currently no way to measure when an individual plant, forest or vegetation community is approaching death from a lack of water. Such a major unknown prevents us from understanding how a drier future climate will impact the Australian flora. This project develops an innovative way of predicting the mortality or adaptation of plant species under present, future and past rainfall scenarios. Using the stress tolerance of internal water transport as a specific index of drought resistance the project examines; 1) how likely native species are to suffer lethal water stress in the field; and 2) the capacity of plants to adapt to reduced rainfall. The results will identify species and communities at threat of extinction from future droughts.